Certara is offering a two-day hands-on workshop on the use of the new upgraded Trial Simulator v2.3 (TS v2.3). The workshop will combine presentations, guided examples, and hands-on examples using TS v2.3. Day 1 (10 June 2019) is suitable for beginners and no prior experience with clinical trial simulations and Trial Simulator is required, a high-level understanding of nonlinear mixed effects models and clinical protocol conduct is desirable. Day 2 (11 June 2019) will cover topics that are more advanced and will be of special value to you if you have prior experience of using clinical trial simulations in at least one real-life application, or if you judge yourself advanced enough to tackle and understand how to deal with practical challenges of real CTS applications. A 60-day license of Trial Simulator v2.3 will be provided to all attendees. 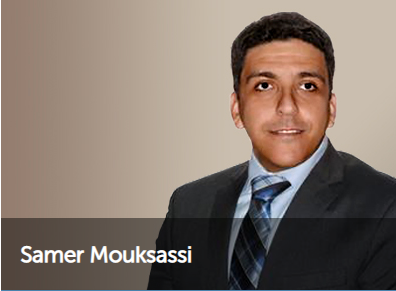 Samer Mouksassi is an established pharmacometrician providing solutions for optimizing drug development and health care problems. During his industry experience Samer’s team successfully obtained several regulatory approvals from the FDA, EMEA and PMDA for several therapeutic indications namely in pediatrics and rare diseases. He continues to specialize in bringing therapeutic options for neglected disease and vulnerable populations and is currently dedicated to the Healthy Birth, Growth, and Development knowledge integration (HBGDki) initiative at the Bill & Melinda Gates Foundation.